I absolutely love watching planes. Their immenseness is just insane, when you think about it. 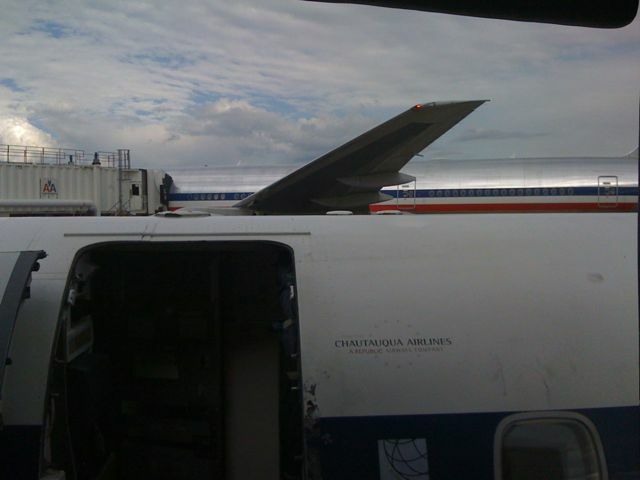 I took this picture as I was boarding AA5046, an Embraer 140 with a Boeing 777 looming over us.